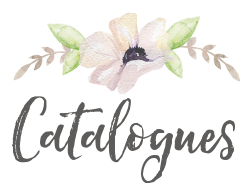 January always starts with the launch of our Spring/Summer Catalogue and a commencement of our Annual Sale-a-Bration Promotion. 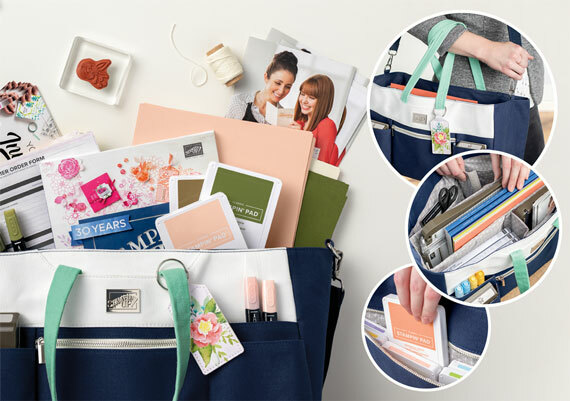 During this promotion you can earn FREE Stampin’ Up! Products with every £45 spent. Some of you I know have already been taking advantage of this Promotion and many of you joined my Team for on going discount. There are still a few who don’t really understand what freebies we have on offer, so let me share with you. 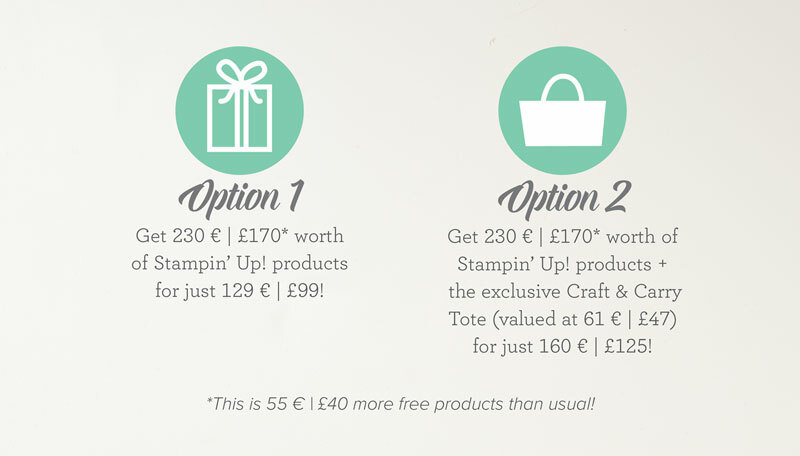 With every £45 spent (before p&p) you get to choose a FREE Stampin’ Up! Product from the Sale-a-Bration Brochure. There is no limit, as for every additional £45 you spend, you’ll get to choose another FREE product or upgrade to a Level 2 item. 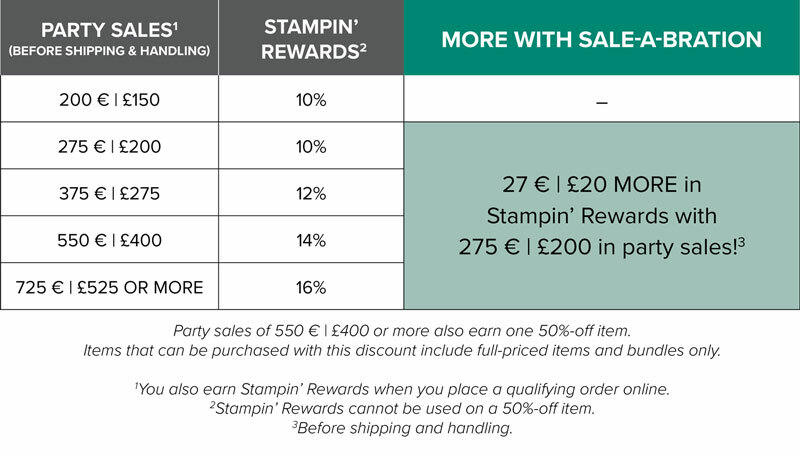 Yes, earn even bigger rewards when you spend £90 (before p&p). Earn even more for FREE. When you host a qualifying party during Sale-a-Bration, you get £20 more in free products! You can even put that money towards the cost of your very own Starter Kit to become a Stampin’ Up! Demonstrator. Sale-a-Bration is all about MORE, more free, more rewards and more fun! Well Stampin’ Up! have this year offered us a bumper starter Kit, but not just one, but two options and you’ll not want to miss out on them. £170 worth of products for just £99 … can you afford to miss that? 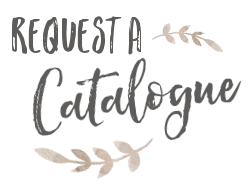 Fully Customisable Starter Kit – You get to choose exactly what wonderful products you’d like to receive in your starter kit and have it posted to your address, postage free. Do I have to Demonstrate if I become a Demonstrator? Stampin’ Up! 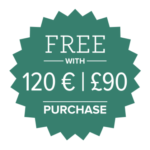 allows you to simply be your own best customer if that’s what you’d like … obtaining a minimum of 20% discount. There is no need to Demonstrate if you don’t want to, but the opportunity is there should you wish. 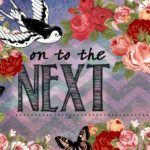 Follow the career plan of Stampin’ Up! and earn Extra Income from a growing business. Earn income based on your commissionable sales and recruiting, with a flexible schedule to suit you and your lifestyle, plus incentives and bonuses to work towards if you wish. 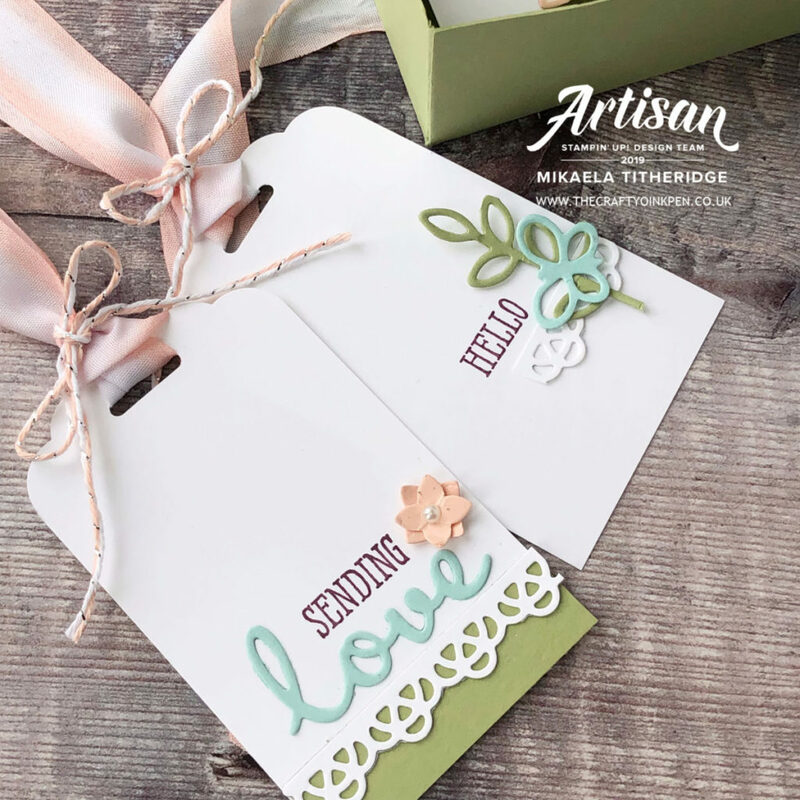 Inspiration and Support – A free Stampin’ Up! Demonstrator magazine with tips and techniques is delivered direct to your door once a quarter and you’ll receive weekly emails offering assistance direct from our Home Office; Access to a thriving online community of stampers and paper crafters from around the globe, plus an open invitation to fabulous Stampin’ Up! Events and a dedicated Team Facebook Page to engage with your fellow team members. I offer as much or as little help as you’d like and will help you get the best out of your Demonstratorship. I joined 7 years ago during Sale-a-Bration and continually share my experience with others. Why don’t you come and join a friendly, positive community of crafters of all ages. 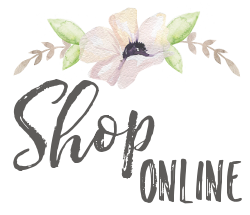 Want to order coordinating items to go with your FREE Sale-a-Bration items? 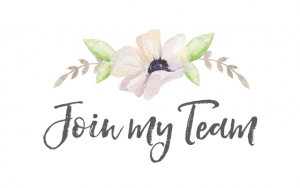 … or buy these products to earn the coordinating item for FREE?, then check out what items are available by following the link below. Please note that the popularity of both the Frogs and the Cupcakes, has sadly had these items sell out already. I’m here to help you achieve the best from this Promotion and have you fill your basket with Friday Freebies. Enjoy the weekend and seriously consider these offers before the month ends and it’s too late. It’s March and we’re taking a trip out of the Geared Up Garage. Yes, the Artisan Design Team are showcasing this Classic Garage Suite, complete with mini tool embellishments. 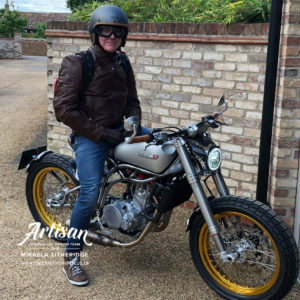 Welcome to this month’s Artisan Design Team Blog Hop, where this month we are turning our hand to the Garage. 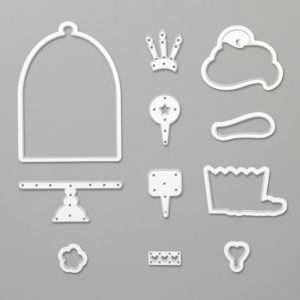 Geared Up Garage is a fabulous masculine suite that offers mini tools to cogs and oil cans. Many find masculine cards difficult to create, but I think it’s because we like all things pretty. 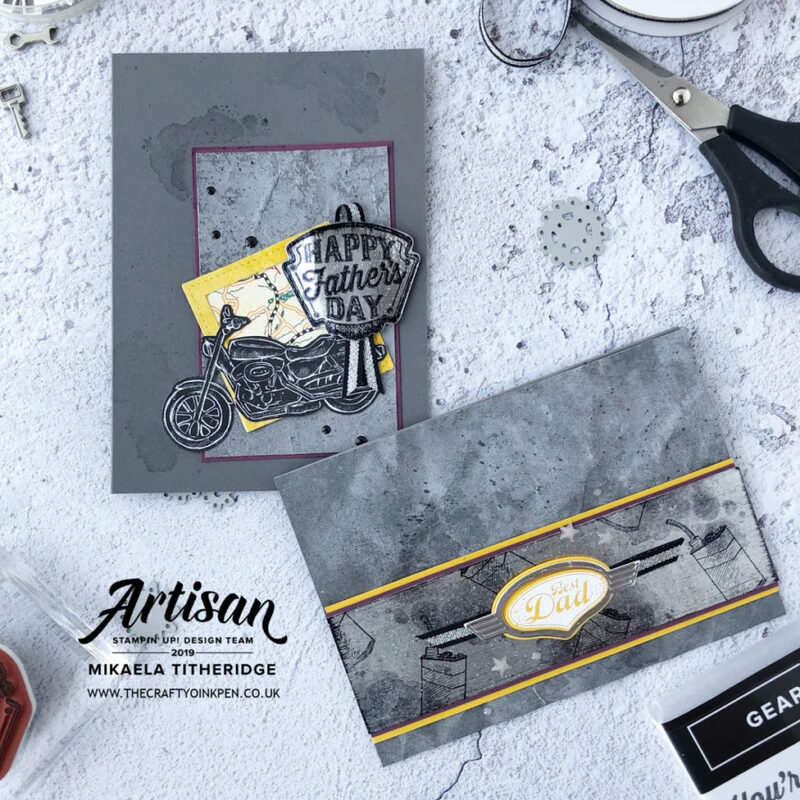 This month we Artisan’s are creating with the Geared Up Garage suite to share with you. 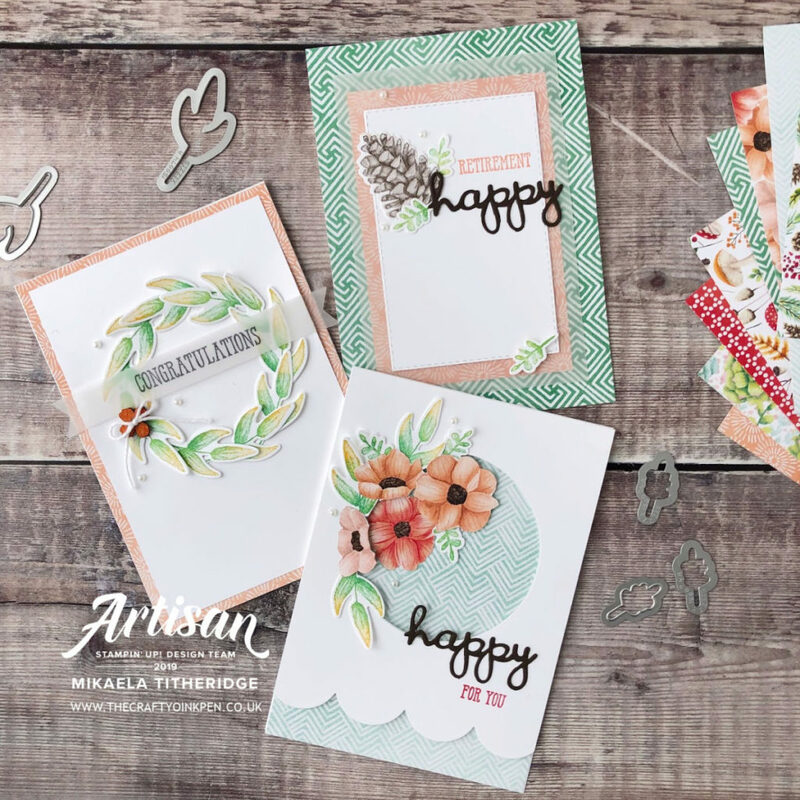 Manuela’s cards and pop of colour are fantastic, so if you’ve not seen them, you’ll want to hop on around until you do. At first I really didn’t know where to start and cut a layer of this Grey pattered paper. I starred at it and became quite frustrated that nothing was coming to me. Frustration caused me to screw up the paper and bingo … this almost rock looking effect was created. Taking a strip of silver foil and Staz On Ink, I randomly stamped oil smudges and oil cans all over it, before creating the Black Ice Technique. Carefully dragging the ink from the edges over the silver foil, I created gentle stripes across the strip. I then used Versamark to fully ink up this panel, that I heat embossed with clear Embossing Powder. I was left with a real metal looking panel that screamed masculinity. Loving the shape of this sentiment, I just had to make use of it. Packing a punch with Crushed Curry, I heat embossed the sentiment with White Embossing Powder. I loved the rock and metal masculine effect that I’d created here. 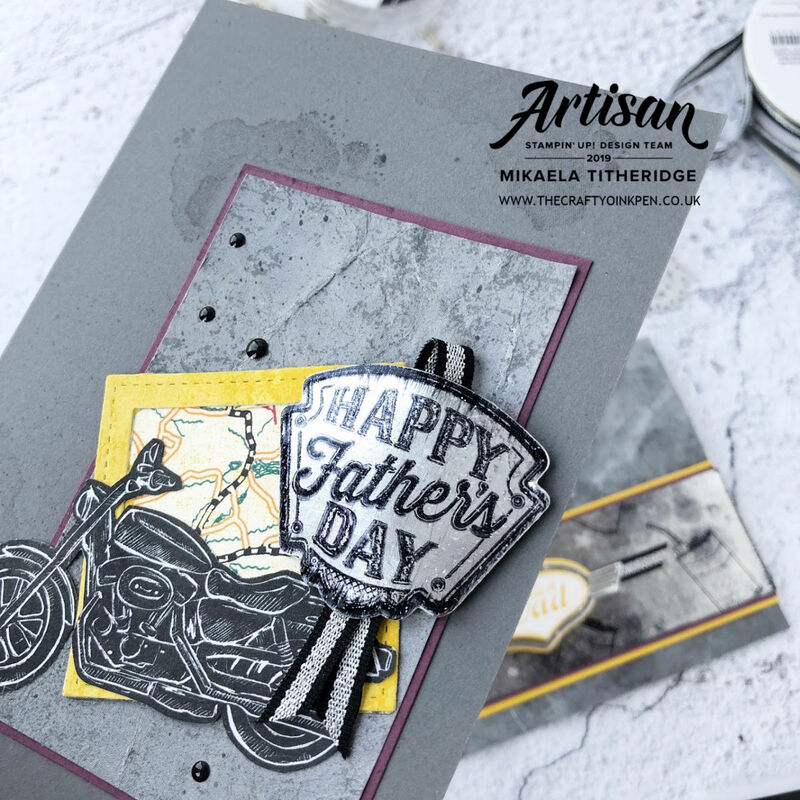 I also used the Black Ice Technique on this ‘Happy Father’s Day’ badge. To create a gentle curve for this badge, I used a Bone Folder and adhered it in place using two stacked Dimensional Foam Pads. With hubby having a classic motorbike in the garage himself, I knew I had to create at least one card using a bike. The bike on this second card appears on one of the Designer Series Papers, so was cut out using paper snips. Each year he tends to head off on an annual biking trip with his friends, so the addition of the map, seemed only right and fitting. Hopefully this blog hop will inspire you to get creative with this set and to perhaps try some of these techniques. Next up we have the talented Narelle Farrugia, who I know has something quite special to share. It’s Stamping Sunday and we’re getting creative with the Crackle Paint Background Stamp. 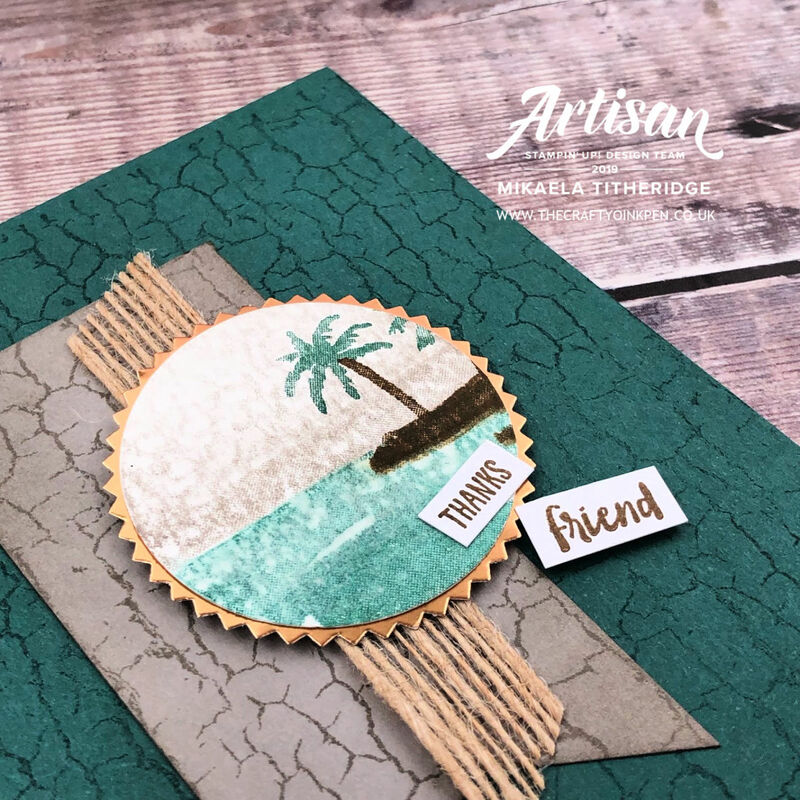 This month we are sharing inspiration with the Crackle Paint Background stamp, a fabulous background stamp with amazing looking texture. 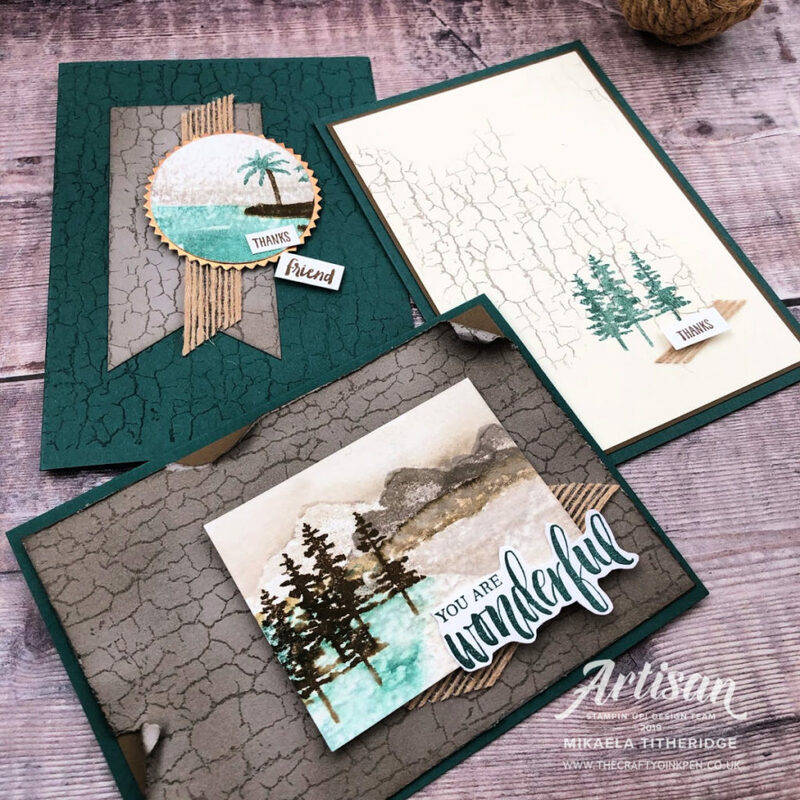 Teamed with the Waterfront Stamp Set, you can create some fabulous looking masculine cards. I have decided to create three quite different cards, but all showcasing the Crackle Background. This first card is a great card for a beginner with nominal stamping on Very Vanilla. Randomly inking up a small area of the stamp, with Gray Granite ink, I was able to create this sporadic look. Tranquil Tide is one of the 2017-2019 In Colors that will sadly be leaving us at the beginning of June. 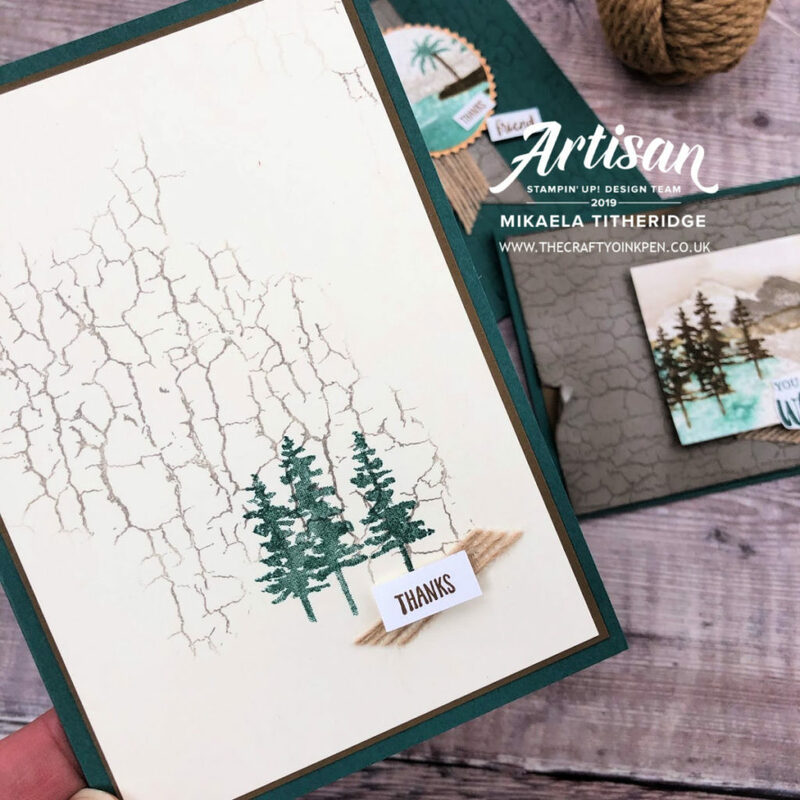 I use this colour for the trees and card base and pulled it together with Soft Suede. Masculine cards can be quite difficult to create, but I found that by using these colours and images, they came together quite easily. I do love the Burlap ribbon and snipped it in half width wise, to add a flash of detail behind the sentiment. 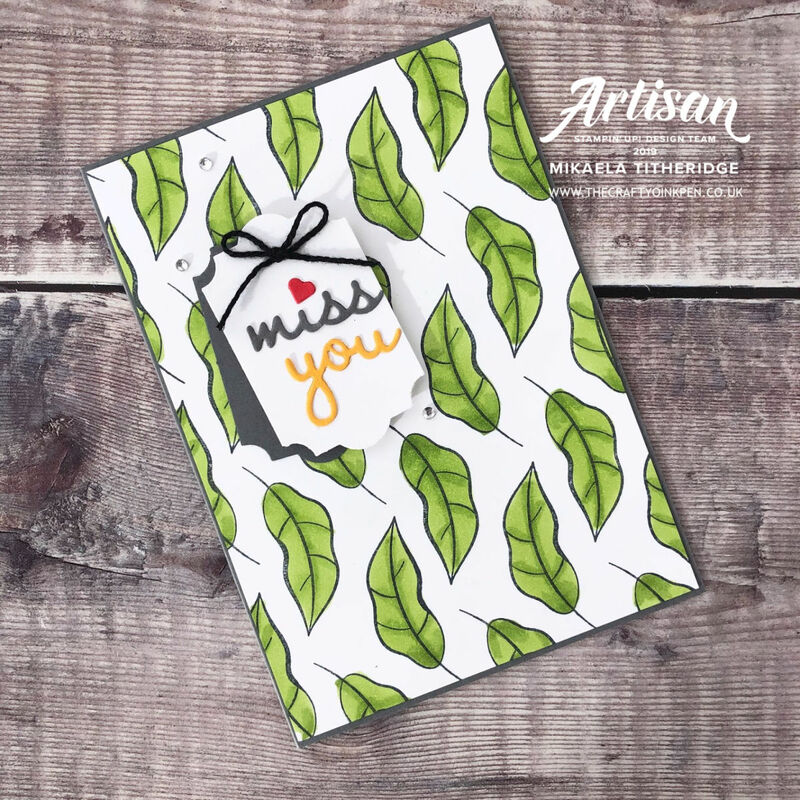 This next card is suitable for the casual crafter who has a few more tools. I’ve layered up two punches here, the Starburst that I’ve used to add a flash of Copper Foil and the 2″ Circle Punch of Watercolor Paper. You could use the Triple Banner Punch for the banner, or as I did, simply use a pair of paper snips. It’s very difficult to see here, but I added a Wink of Stella to the sea, to try and pick up the shimmering foam of the sea. This final card was actually where I started. Stamping the Crackle Paint Background image over a layer of Grey Granite, I then sponged the sides with the same colour. Taking the blade of a pair of scissors, I roughed up the cardstock edges and curled a corner and few distinctive tear points. I wanted to create a watercolour image for this card, so used the Watercolor Paper. I then used the Aqua Painter to work the stamped images and add additional colour to the sea and sky. This sentiment came from another Stamp Set entirely. I decided I wanted something a little larger for this card, so pulled on ‘You are Wonderful’. I really liked how this card came together and didn’t want to add any more to it. These three cards worked so well together as a little set and I really loved the colour combination. 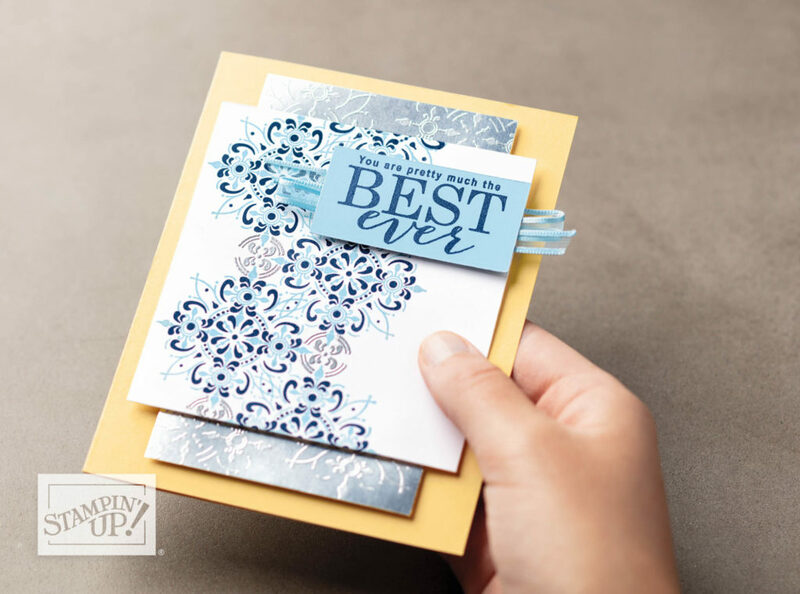 A Background stamp that many might over look, this Crackle Stamp is a fabulous replacement to Designer Series Paper. 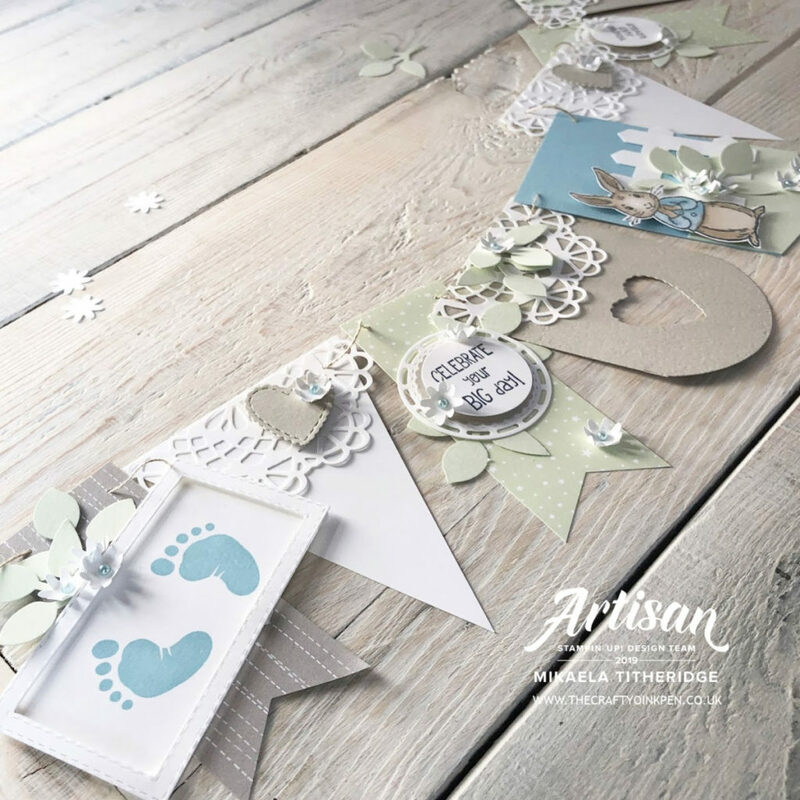 Stamped and or embossed on your colour choice and you can team this up perfectly with your project. I hope you have enjoyed this little share of mine and see how suitable this stamp is for masculine cards. Don’t forget to check out the rest of the hop and see what the other talented girls have to share. Case Yourself they said, so in search of an old favourite I did. Yes, today the Let’s Get Hopping Team are Casing themselves. 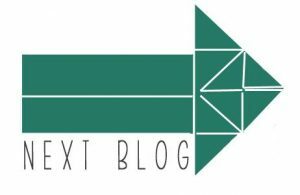 Welcome to this month’s Blog hop and to what will be a real variety of projects. If you’ve hopped on over from the talented Jennifer Frost then you’ll have already seen some fabulous inspiration. A former Artisan herself, I’m sure CASing herself will have been a joy. I hope to share something with you now that you’ll also find inspiration from. I created this card back in March 2016 for an entry into a Global Design Project Theme Challenge. It appeared on my old blog, before this one was built. The Stamp Set that I used was the Botanical Blooms, which is no longer available. To CASE is when you Copy and Share Everything. You can edit various elements, change an orientation, colour, Stamp Set etc, but generally the inspiration is there. 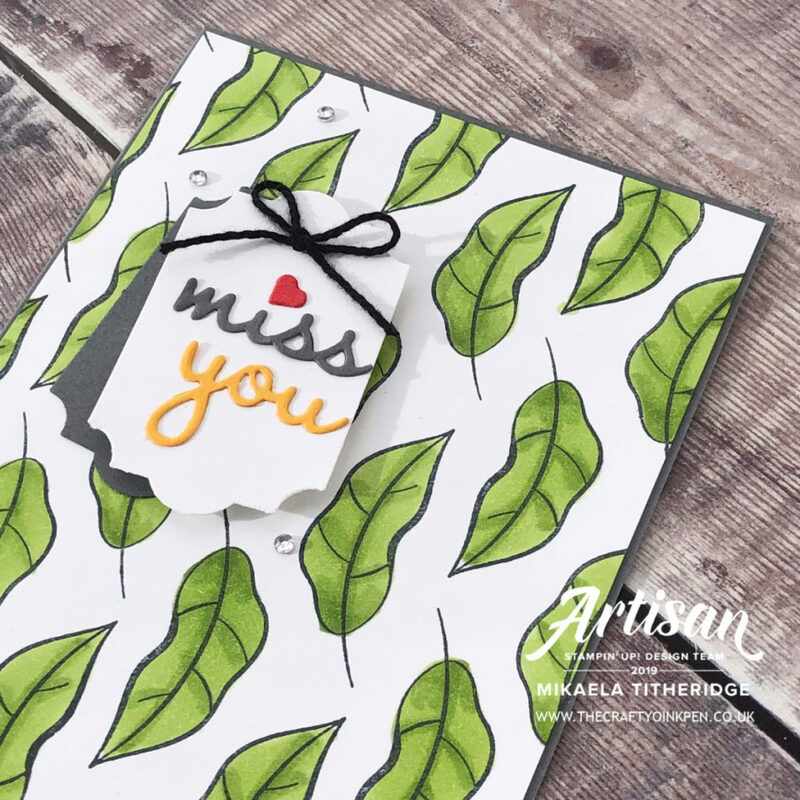 Today I created this card, using a leaf from the new Humming Along Stamp Set. 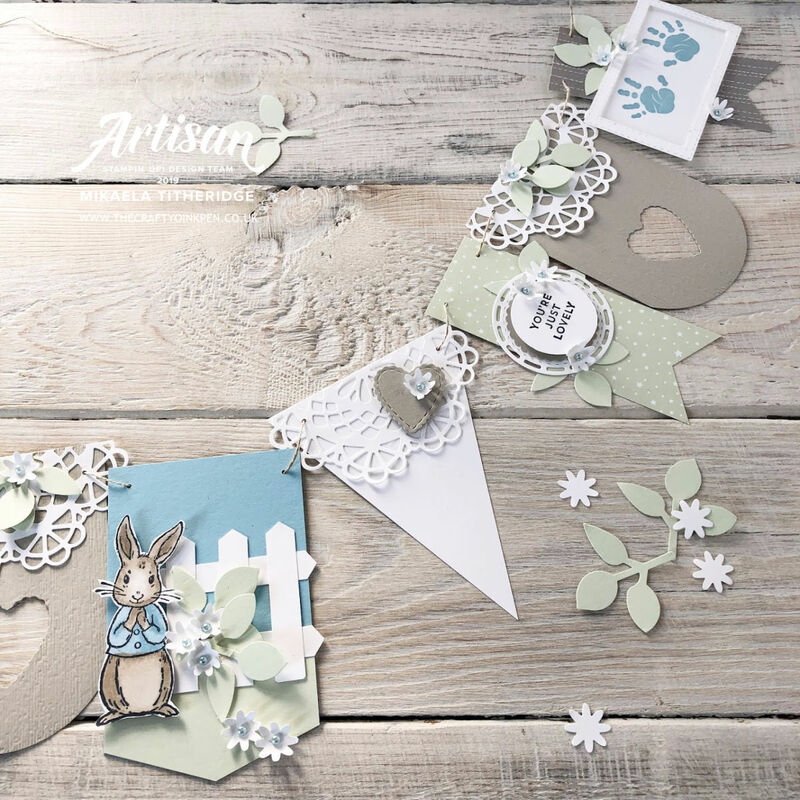 Coloured in using Granny Apple Green Blends and mounted onto a Basic Grey Card base, this card packs a punch. I wanted to add some more colour to this card, so added some Poppy Parade and Mango Melody. A really simple little card that’s colour will brighten the recipient’s day I’m sure. Now I wonder what creation Tracy Bish will come up with. I’m sure it will be something quite amazing. Enjoy the rest of the hop and all the inspiration on offer. Wow, Who can believe it is March already?, but the Birds, Blooms and Butterflies are telling us so. 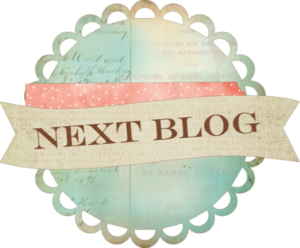 Welcome to today’s Creation Station Blog Hop , where the focus is on just that. If you’ve started the Hop here, then a warm welcome to you. 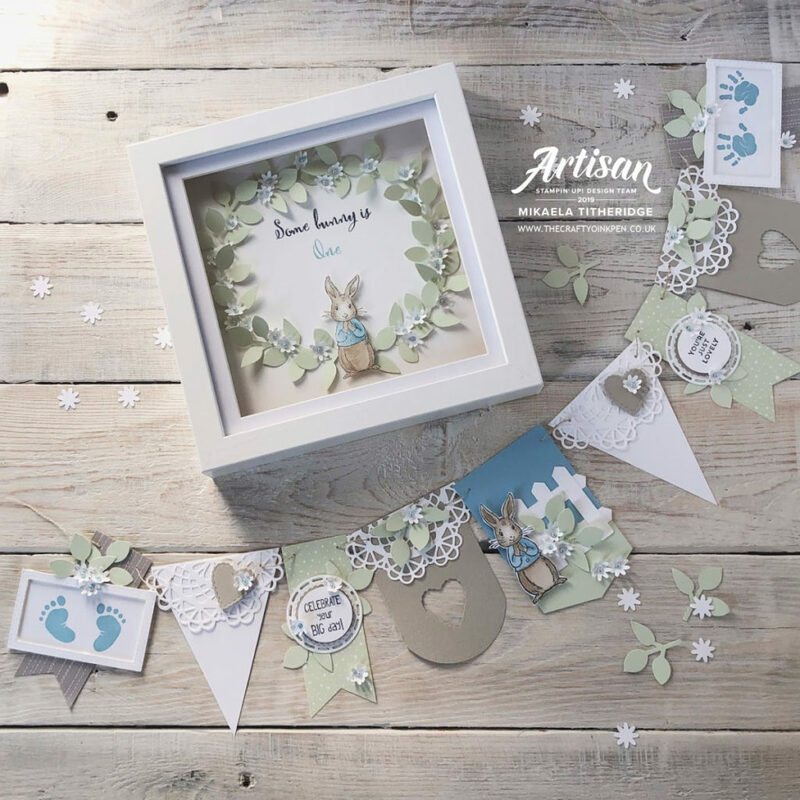 If you’ve hopped on over from the lovely Sara Langland, then you’ll have already seen some fabulous inspiration. Today we are celebrating my Mother-in-law’s Birthday, so I have decided to share with you the card I created for her. 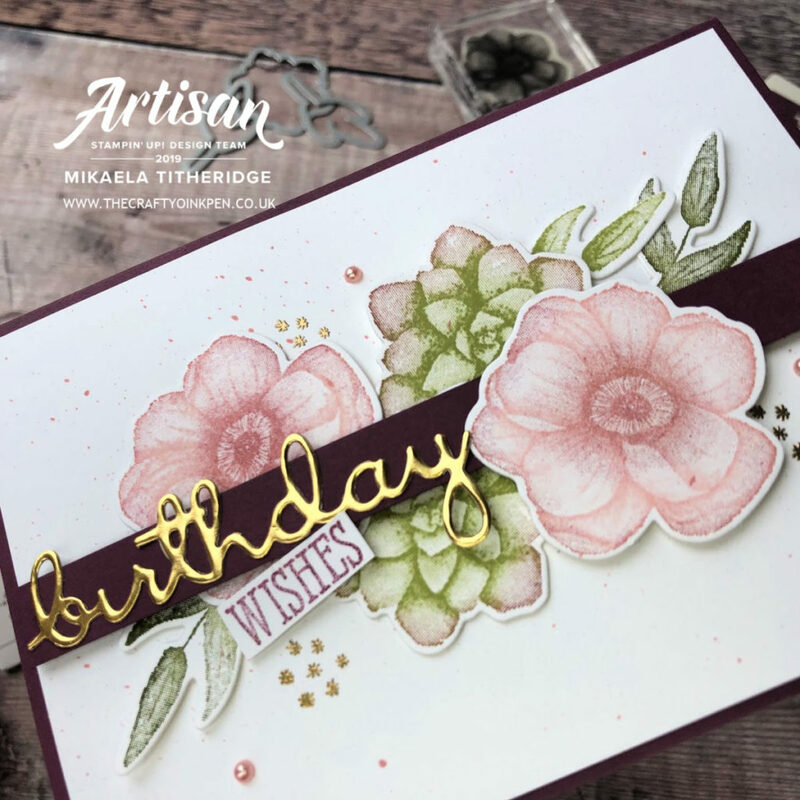 Using the gorgeous new Painted Seasons Stamp set and Dies, I have created this beautiful cluster of blooms. 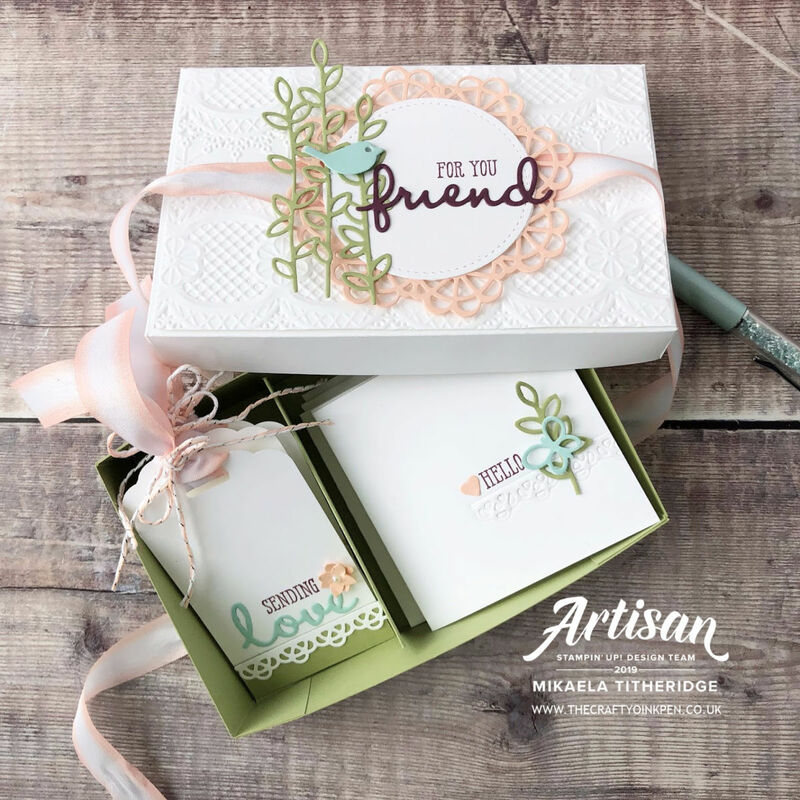 This new Stamp Set, available as a FREE choice with a qualifying purchase during Sale-a-Bration, is just gorgeous. I teamed up the following colours for this creation and just had to add a pop of Gold Foil and Heat Embossing. I’ll be sad to see Fresh Fig leave us this summer, when we welcome a new set of In Colors. It’s the perfect colour to add to the edges of the succulents and flowers, as it works well for both. Being one of our new Distinktive cling stamps, it offers such fine detail and amazing hold to the block. A gold foil pop seemed to add a touch of something special, so I added the heat embossed gold touches to pull this all together. 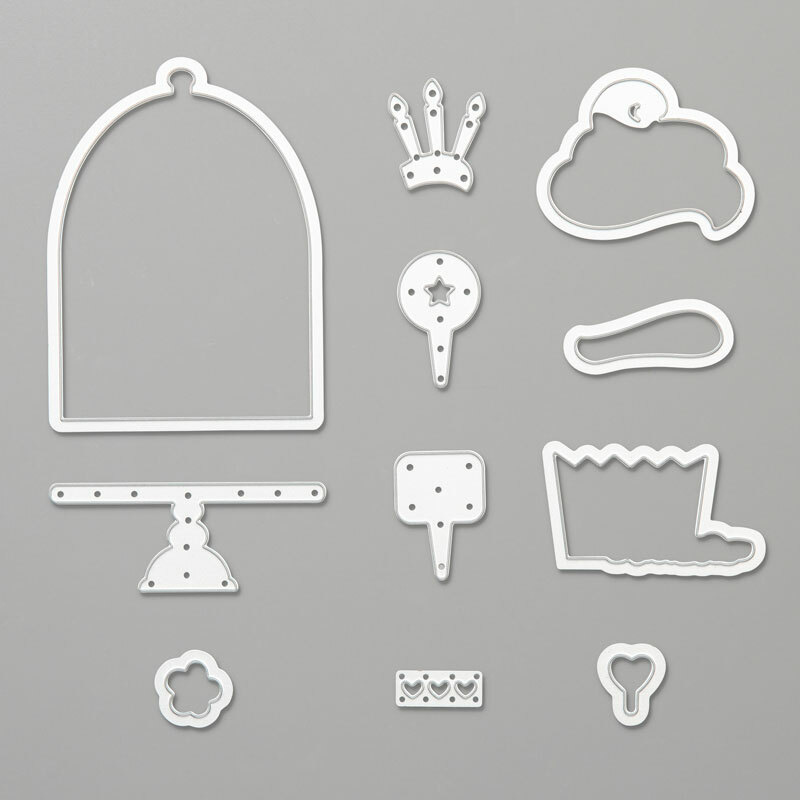 The Dies for this amazing all round set, are available this month in our new Sale-a-Bration Coordination Promotion. This new promotion allows you to purchase coordinating items for your FREE Sale-a-Bration items. A fitting layout for this Birthday Card, with just enough embellishment, I was really quite pleased with the outcome. 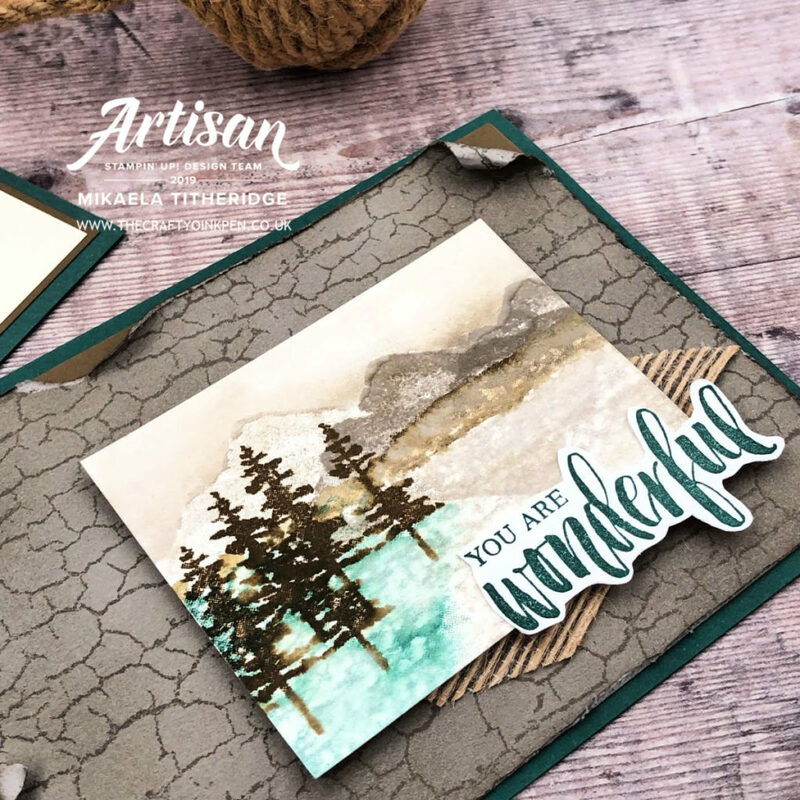 I’ve only spoken about the gorgeous Stamp Set and Dies, but these stunning papers are also a FREE product within the final Sale-a-Bration offering. We’ve just until the end of the month to obtain these items, so you won’t want to hang around. Hop on over now to the highly talented Elizabeth Price to see what she has to share. Will it be Birds, Butterflies or Blooms that she’ll have chosen? … or all three? Enjoy the rest of your weekend and the rest of the hop. 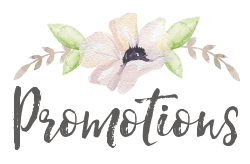 Links to each of these Promotions, can be found to the right of this post. 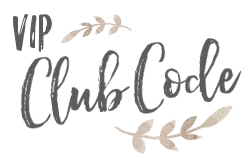 Be sure to use my new Club Code at check out if you should place an order with me. Welcome to today’s Artisan Blog Hop where we share yet more fabulous Sale-a-Bration Coordination. Last month I shared a sneaky look at the coordination products that would be available from 1st March. I was fortunate to have the most stunning of Designer Series Papers to work with. 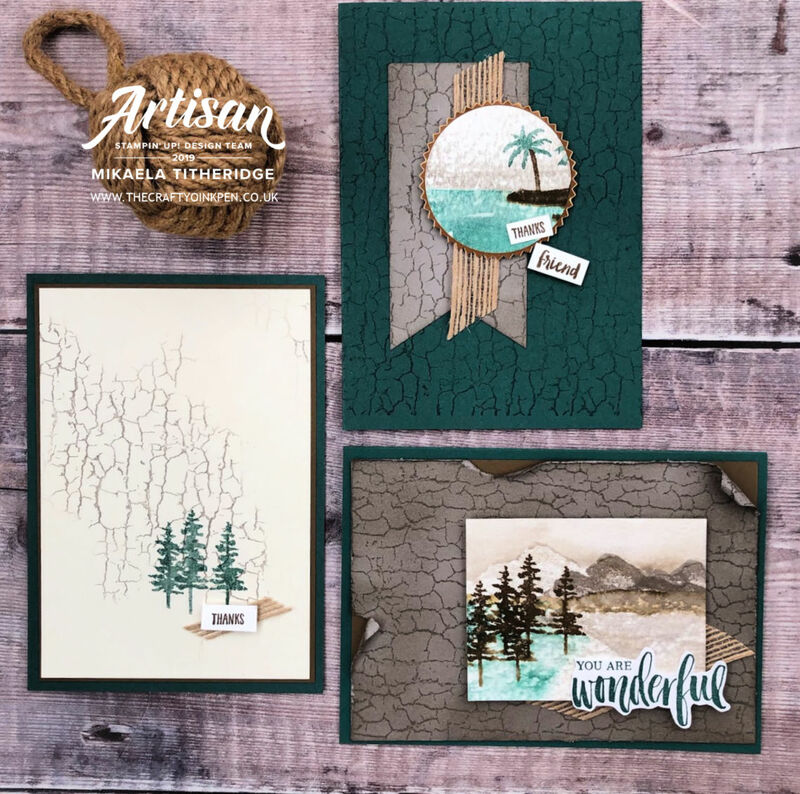 The Painted Seasons Bundle of Papers and Stamp Set are currently available as a FREE Level 2 Sale-a-Bration item. This bundle has caused quite a stir with its beauty and will go on doing so, I’m sure. From 1st March, there will be yet more coordination available with this suite, as the Framelits become available to purchase. The Four Seasons Framelits coordinate beautifully and offer extra leaves for multi cutting. 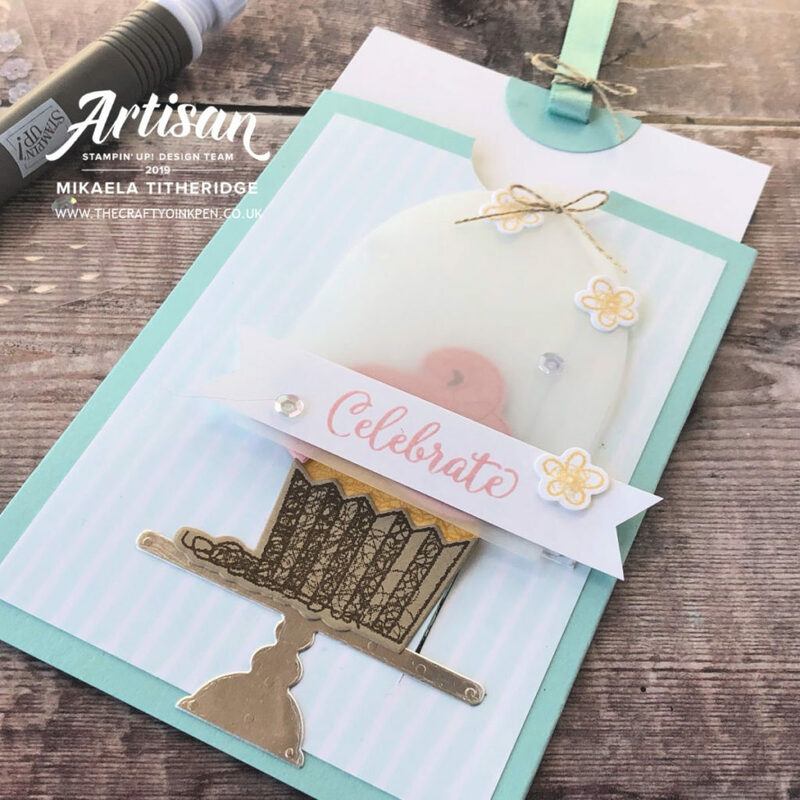 The Hello Cupcake Stamp Set is currently available as a Level 1 Free Sale-a-Bration item. Excitingly, we now have the Call Me Cupcake coordinating Thinlits available to purchase from 1st March. The Sale-a-Bration Coordination Promotion offers six new coordinating products available to purchase. Call Me Cupcake has some fun die shapes within it, one told me exactly what card I needed to make with it. I wanted to create this simple little slider card that once opened, would remove the cloche. If you want to create a realistic cloche, then you’ll find Vellum the most fitting. Pulling at the ribbon tab and the cloche starts to move. 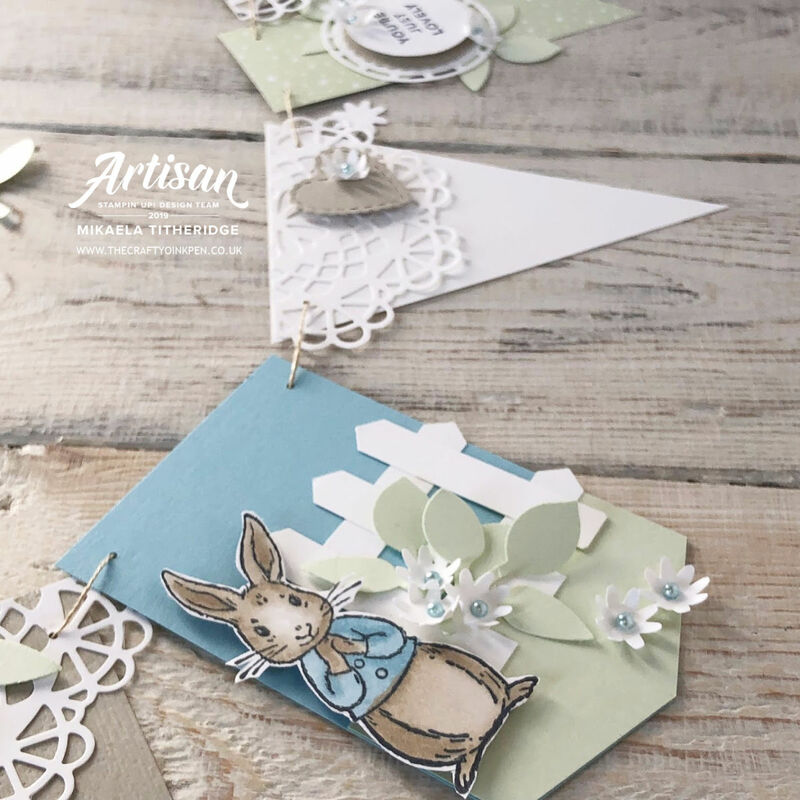 This card has a simple little mechanism that creates a fun card, ideal for this movement. The sentiment is completed, when the card is fully extended. I love the coordination of these products that has made this card possible. There are so many different elements to this die set, with cute little flowers and hearts, as well as the cake itself. Be it a simple card or one like this, you are so going to want these products in your collection. Cake is made for Birthdays, so you’ll never be short of ideas for your Birthday cards again. 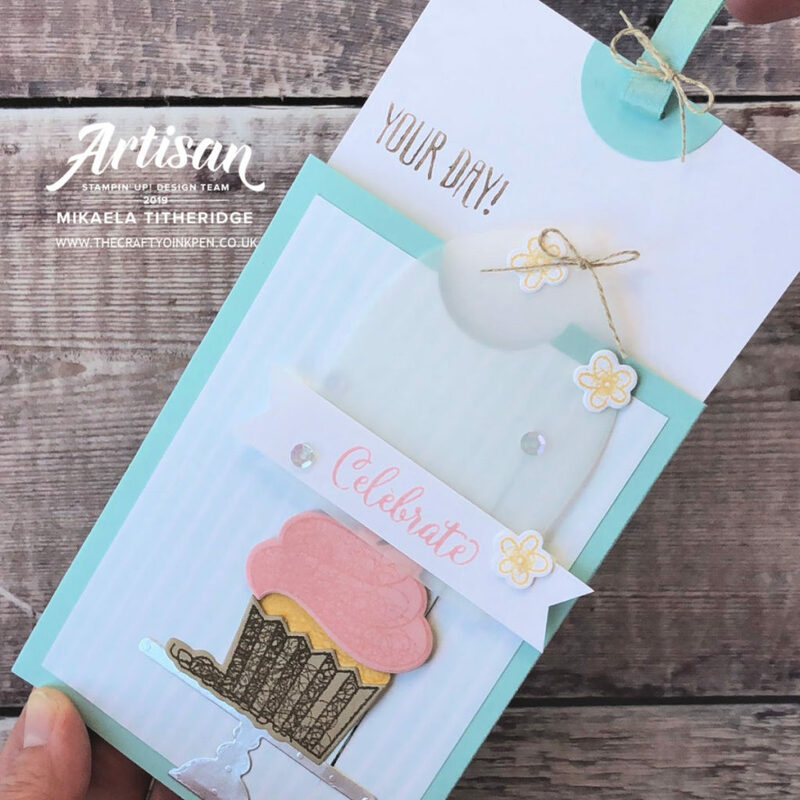 If you’d like to make a card like this yourself, then you can download a Tutorial by clicking on the image below. 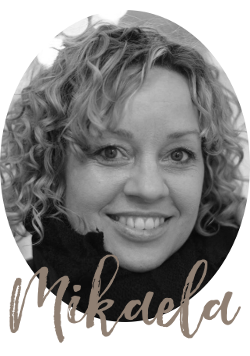 Hop on over now to see what Narelle and the rest of this fabulous team have to share. The inspiration is just amazing. Remember that these coordinating items will be available from Friday 1st March, so hop on round and be ready to place that order tomorrow. I hope you’ve liked what I’ve shared with you today and that you’ll enjoy the rest of the hop. 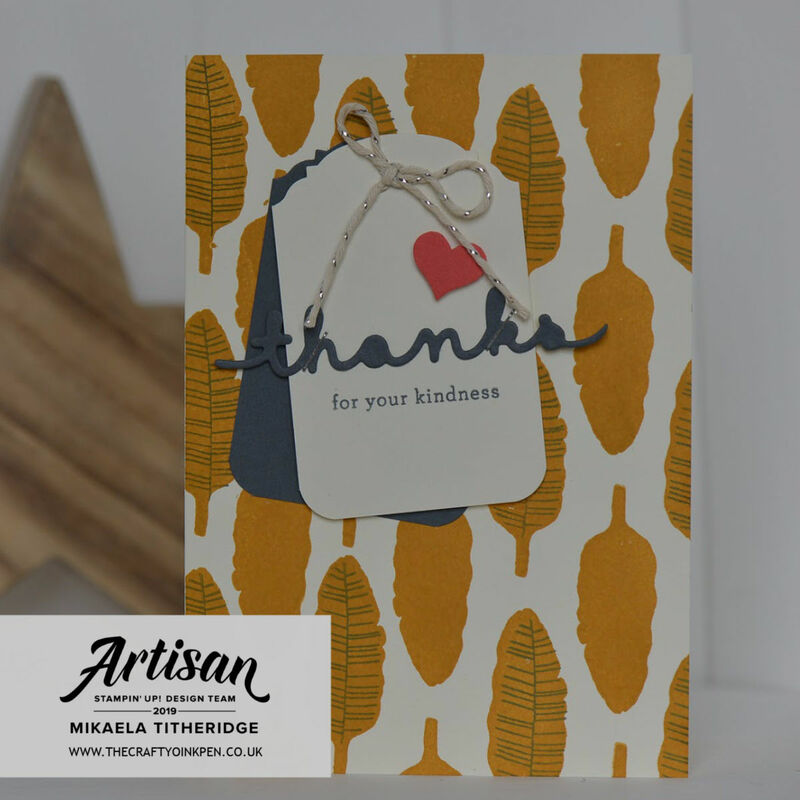 Welcome to the Stamper’s Showcase Blog Hop where this month the theme is Thank you Cards. 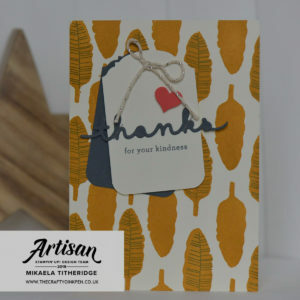 When you’ve created a card that you really like, why not recreate the layout with a different sentiment? Today I share with you some Thank You cards that I created using the Butterfly Gala Bundle. I then recreated this card as a Birthday Card in a different colour way. I had previously designed this card in a different colour way for one of my monthly classes. Loving it as I did, I decided to recreate it in Lemon Lime Twist, another of the Gingham Gala Designer Series Paper colours. Knowing that I’d come up with a layout that worked, I then decided to switch up the sentiment for that of Happy Birthday. This Birthday font is just fabulous. It’s a bold size, but is neutral enough to be used on both a Male or a Female card. It fitted beautifully across the centre of this card. Two different cards, two different colour ways and two different sentiments, yet one very similar theme. This just shows how you can save time by repurposing a layout that you’ve already made use of. 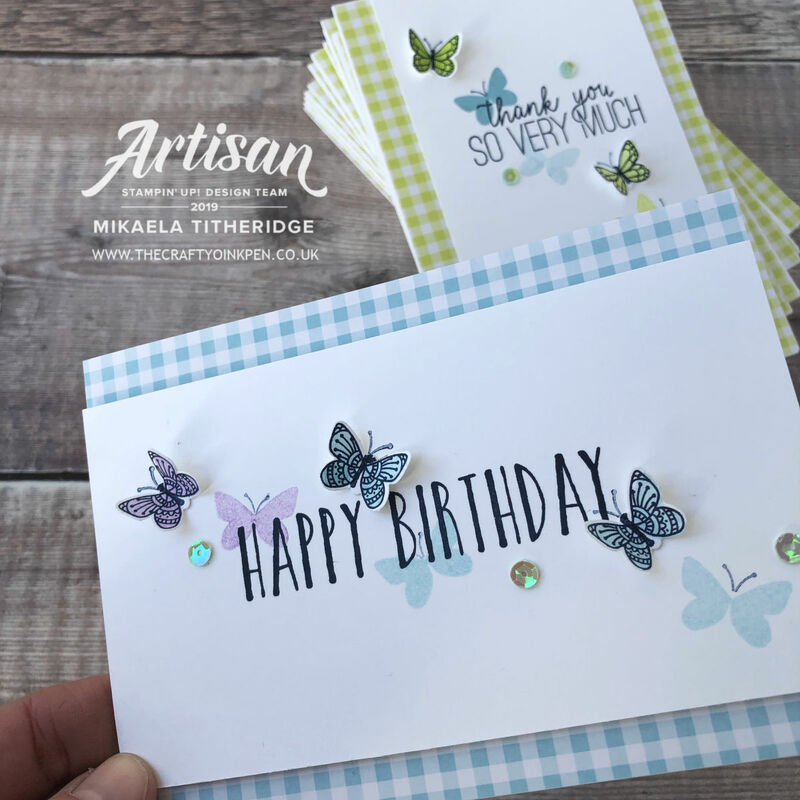 Take a look at your next creation and see if you’re able to switch up the colour, sentiment and orientation to produce a very different card. I hope you liked this little time saving tip today and that you’ll have a go at coming up with a design of your own like this. Hop on over to see what the wonderfully talented Mo Rootes has in store for us today. Mo is one of my fabulous team members and always creates some gorgeous work, so I feel sure you won’t be disappointed. Thanks for stopping by today. I do hope you’ll return for more inspiration. Please note that in the UK Market, Butterfly Gala is currently non orderable, but will be back in stock in a few weeks. Hello friends and welcome to everything Well Said by the Artisan Design Team this month. 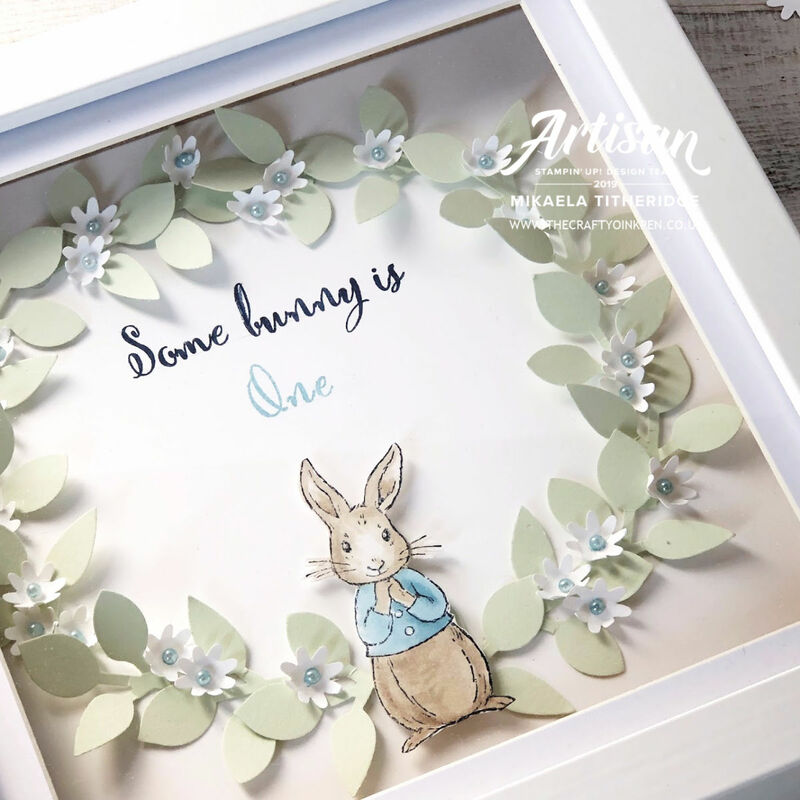 This month we are making use of the Well Said Bundle and the Dear Doily Bundle. Oh my, both of these bundles are just adorable, with such delicate die cut images. 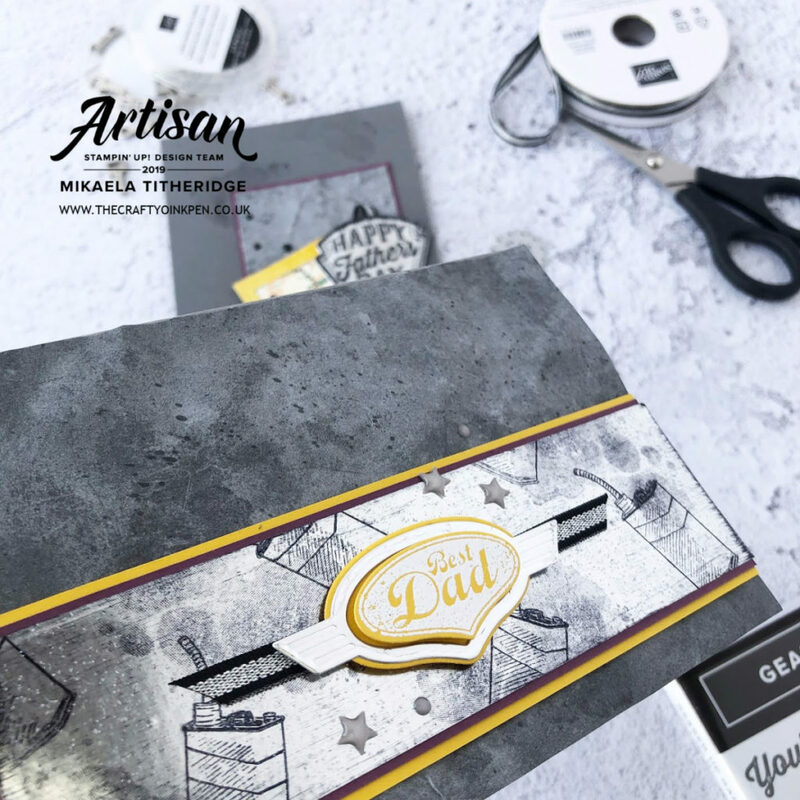 Making this little Note Card and Gift Tag Box, enabled me to use more of the elements within the Well Written Die Set. Not just words, this die set offers leaves, a bird, a heart, a Butterfly and some flowers. It’s utterly adorable. Petal Pink is a super soft colour to team with this type of die cut shapes. I have chosen here to team it with the softness of Pear Pizzazz and Pool Party and used Fresh Fig for the majority of the sentiments. I liked the warmth of the Fresh Fig, over simply using black. Why I had resisted from purchasing the Lace Dynamic Textured Impressions Embossing Folder, is beyond me. 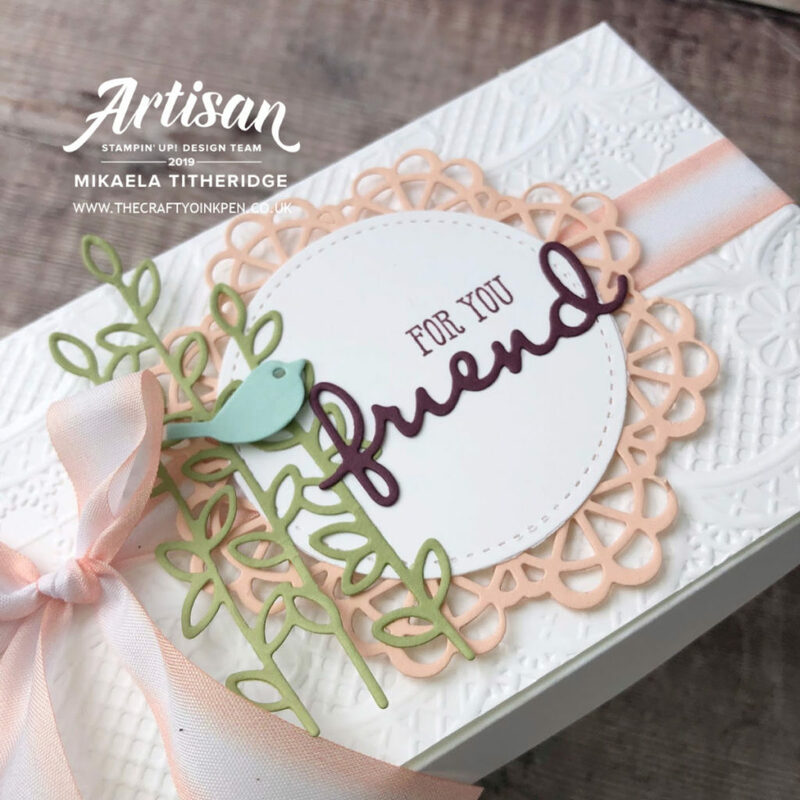 This embossing folder is adorable and offers such textured detail. It just had to be used as a base for this box lid. I love how the Stitched Basic Shape Dies, nest perfectly in the centre of this Doily. A real focal point. Untie the Ribbon Bow and open up the box to reveal a split compartment for Gift Tags and 3×3″ Note cards. Simple decoration for each, there is a notecard for each Gift Tag. I have used the Big Shot Embossing Mats here to emboss this pretty scalloped lace edge. To avoid the embossed scalloped shape affecting the reverse of the tag, I used the actual die cut shape for the coordinating gift tag. 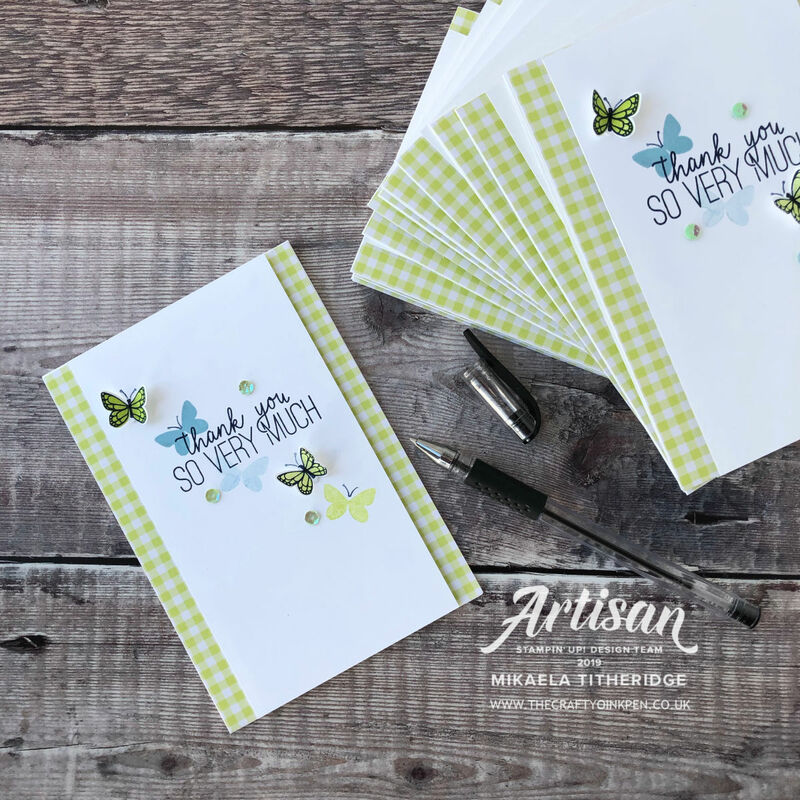 The Well Said Stamp Set and Well Written Thinlits can generate all sorts of sentiment combinations. It’s so versatile with it’s mix and match style. A smaller Doily is teamed here with another Stitched Basic Shape Circle. 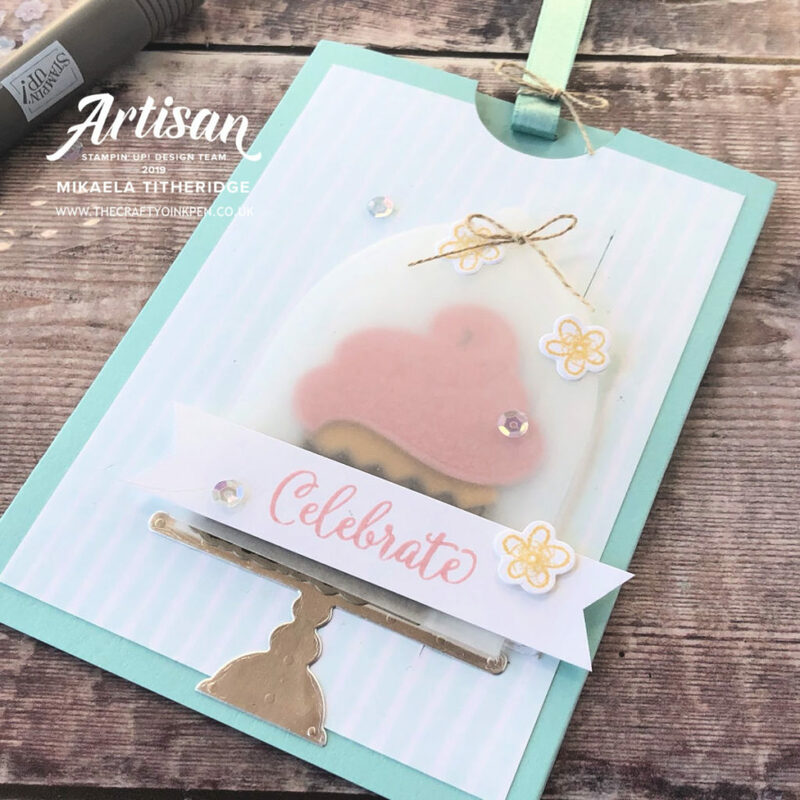 The Scalloped Tag Topper Punch is great for making quick and simple Gift Tags. These tags were embellished with the gorgeous Petal Pink/Whisper White Variegated Ribbon and Silver & Petal Pink Baker’s Twine. A delicate little set, packed with lots of texture and detail. I absolutely loved merging these two suites together. Now you’ll just want to head over to see what the lovely Narelle has to share with us. Enjoy and we’ll look forward to sharing some more inspiration with you soon. Today sees the launch of yet more FREE Stampin’ Up! Products in our Sale-a-Bration promotion. This promotion has been running for a month and a half now and still has a month and a half to go, so prepare yourself for new things. If you’ve followed my blog, then you’ll have already seen me share cards that I made using the Painted Seasons Stamp Set and papers. These products come as a bundle and are FREE with a £90 qualifying order. Today I’ve decided to pick out another set to share with you that I’m sure you’re going to love. 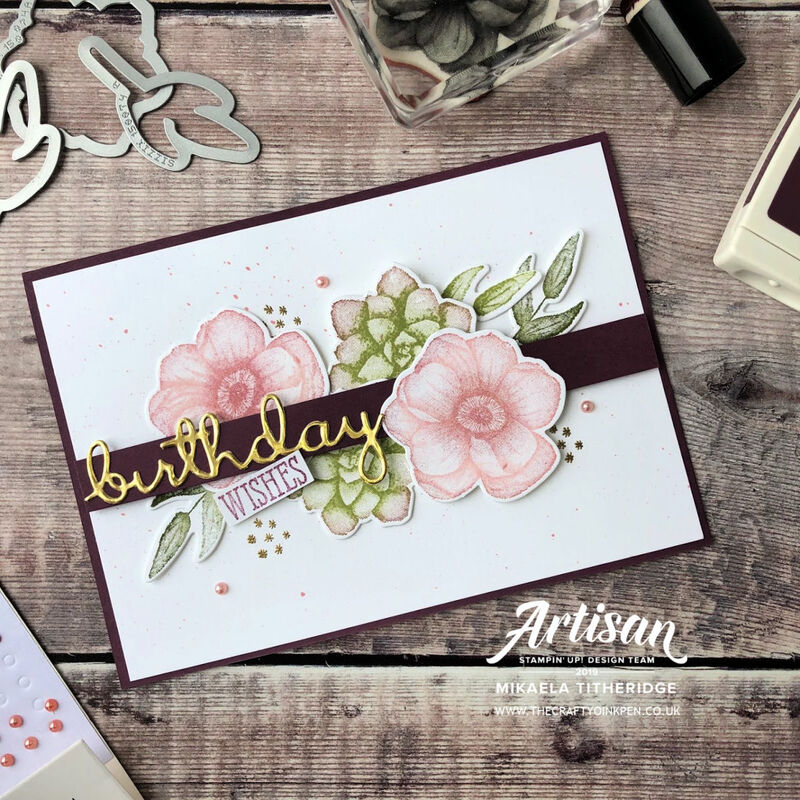 Just take a look at this video to see what you can achieve with the All Adorned Stamp Set. This is just one of the cards that our Concept Artists at the Home Office have created. Take a look and see what else you could create with this set. There are some beautiful images in it. January always starts with the launch of a Spring/Summer Catalogue and a commencement of our Annual Sale-a-Bration Promotion. FREE Stampin’ Up! Products can be earned with every £45 spent. Spend £45 (before p&p) and choose a FREE Stampin’ Up! Product from the Sale-a-Bration Brochure. There is no limit, as for every additional £45 you spend, you’ll get to choose another FREE product or upgrade. Yes, earn even bigger rewards when you spend £90 (before p&p). Stampin’ Up! 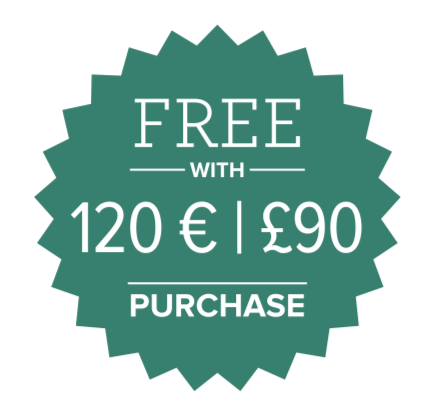 allow you to simply be your own best customer if that’s what you’d like … obtaining a minimum of 20% discount. There is no need to Demonstrate if you don’t want to, but the opportunity is there should you wish. 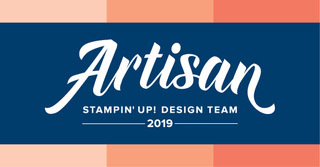 Follow the career plan of Stampin’ Up! and earn Extra Income from a growing business. Earn income based on your commissionable sales and recruiting, with a flexible schedule to suit you and your lifestyle, plus incentives and bonuses to work towards if you wish. I offer as much or as little help as you’d like and will help you get the best out of your Demonstratorship. Here to help you achieve the best from this Promotion.